Produktinformationen "3A X MARVEL BLACK WIDOW 1/6 SCALE ACTIONFIGUR"
From ThreeA. ThreeA proudly presents Ashley Wood's signature spin on Marvel's most deadly femme fatale: Black Widow! The super spy is armed with her iconic wrist stingers, twin glocks, and a newly masked look for the most covert of missions. 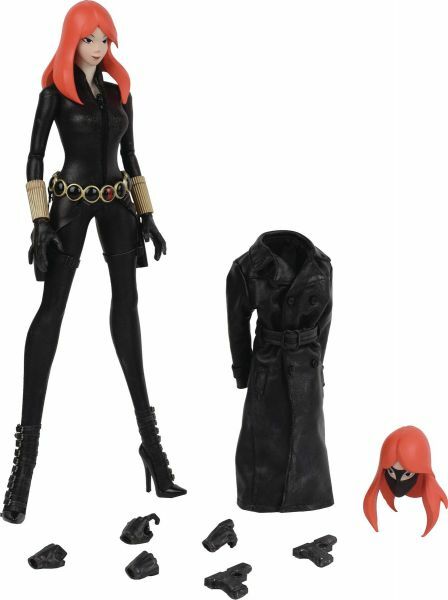 Black Widow features an expertly tailored catsuit, laser cut to Wood's elegantly designed body sculpt. Weiterführende Links zu "3A X MARVEL BLACK WIDOW 1/6 SCALE ACTIONFIGUR"
Kundenbewertungen für "3A X MARVEL BLACK WIDOW 1/6 SCALE ACTIONFIGUR"